The International Esports Federation aka IeSF is organizing the 10th edition of Esports World Championship which commences from 9th November. The Olympic styled Esports tournament is being held in the city of Kaohsiung, Chinese Taipei this year with over 26 countries participating in it. Every team that is representing its country has qualified through their respective regional qualifier and contains players belonging to the same country that they represent. The event will commence with the group stages in which the teams will follow a BO1, round robin format. The top two teams from each group will qualify onto the Playoffs that will undergo a BO3, single elimination bracket all the way to the Grand Finals. 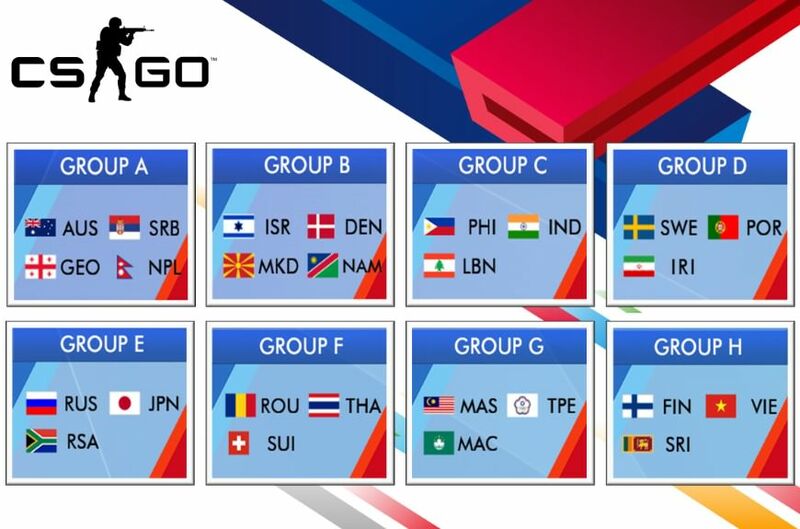 From the looks of it, the Groups are drawn out pretty fairly with Group - A probably being topped by the Australian team – Ground Zero Gaming followed by Group – G being quite an easy bracket for FrostFire. The competition will be there in Group-E amongst Scarz Absolute & Fluffy Gangsters, although both are certainly going to qualify onto the Playoffs. As for the Indian Representatives, Team Invictus should be able to qualify for the Playoffs. Not much is known about Team Virus from Lebanon but TNC will surely be a formidable opponent.